Over several posts, CAD-a-Blog has been taking a close look at the new features in AutoCAD 2011. This post will be the last in the series. Here we will take a look at the many additions to the three-dimensional capabilities that were added to AutoCAD. Yes I said 3D! 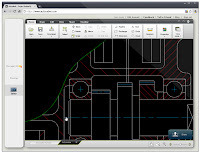 Autodesk added several new tools and 3D features to AutoCAD 2011. There are two 3D workspaces right out of the box, new solid modeling tools, surface modeling capability, analysis tools, more mesh modeling, and point clouds. Wow! Can we still call this AutoCAD? Of course we can! Let's get started. Here we are again, looking at what AutoCAD 2011 has to offer us. This post's list of new features, while not earth-shattering, nicely enhance existing AutoCAD features. Referenced files are a must in developing our drawing sets. They help us collaborate with other design departments and allow multiple designers to work on a project simultaneously. AutoCAD 2011 makes their selection even easier. When a reference object is selected in a drawing (Xrefs, images, DWFs, PDFs, etc.) the corresponding reference is selected in the External Reference palette. The opposite is also true. When you select a reference in the palette, the reference is highlighted in the drawing. This helps you to find the files that you are picking. Keep in mind that this only highlights the reference files - it doesn't select them for you. If this behavior annoys you, you can turn off the feature through the system variable ERHIGHLIGHT. A setting of zero turns it off; a setting of one turns it on. Figure 1: Click to enlarge The Reference Manager now supports object highlighting when a reference file is selected. Autodesk has released a new version of AutoCAD every year since AutoCAD 2004. Each release adds more tools and refines existing ones. We are digging deeper into the new features and are really exploring what this release of AutoCAD has to offer. This is the fourth article in the series and there will be two more after this! I wonder, are we really doing a more thorough job of evaluating the new features, or are there that many more things to talk about in AutoCAD 2011? Maybe a little bit of both. Hatches have been in AutoCAD for a long time. 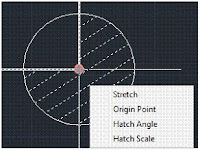 In AutoCAD 2011 users can now create and edit hatches in real time. That means that you can see your hatch patterns while you create them. The same goes for editing them. The biggest change is that the hatch dialog box is gone. The settings and controls for creating hatches are now in a contextual ribbon tab. Contextual ribbon tabs were introduced in AutoCAD 2010. These tabs are not visible during regular operations until a trigger occurs. In the case of hatches, the hatch tab will appear when the Hatch command is started. The same is true for the Edit Hatch Command. Figure 1: Click image to enlarge The HATCH Command is no longer a dialog box. It is now a contextual ribbon panel. This change allows users to create and edit hatches in real time. Figure 1 shows the hatch contextual ribbon tab. All of the regular controls and settings are there. When the hatch command is started, the tab opens and is activated and the command defaults to a pick point mode of creating hatches. If you need to select an object instead, go to the Boundaries panel and pick the Select Objects button. To change the pattern to be drawn, click on the Pattern Option in the Properties panel. The same goes for angle, scale, and color. You can use the slider bars to change most of the settings. If you miss the old dialog box, you can access it by clicking on the diagonal arrow on the bottom right of the Options panel. As you create your new hatch pattern, a real time preview hatch is displayed. A hatch is not drawn yet until you complete the command, but you can get a real time preview of the hatch you are creating. Once you have selected an area to hatch, change the settings such as scale and pattern. The preview is updated in real time. Possible hatch areas will be displayed as you move your mouse over a closed area, temporarily displaying a preview of what could be your new hatch. AutoCAD 2011 has added a few new options to hatches. One is the ability to change the layer the hatch is on while you create it. Expand the Properties panel by clicking on the arrow at the bottom of the panel. There is an option where you can assign the layer for the new hatch. By default, it is set to Current Layer. If you need to create all of your hatches on a specific layer, set it here. Another new option is to create a background fill under your hatch pattern. In the past, you would have to create two hatches to reproduce this effect. The new command, HATCHTOBACK, was introduced thanks to the AUGI Wish List program! This new command, found in the Modify panel of the Home Tab, will send hatches underneath all other objects in the drawing. It works similarly to the TEXTTOFRONT command, only in the opposite direction, of course. There is also a new system variable for hatches called MIRRHATCH. It enables you to mirror hatches and to keep their orientation. It works similarly to the MIRRTEXT setting. If it is set to zero, the original angle will be maintained. If it is set to ONE, the hatch angle will be mirrored. There is also a Match Properties button inside the Hatch Tab. You can copy the properties of another hatch and apply them to your new hatch while you create it. Once a hatch has been created, editing it can be very easy. Double-click the hatch to open the Contextual Hatch Edit Ribbon Tab. Starting the Hatch Edit command by either typing it on the command line or picking the button from the Ribbon will start the "old" hatch edit dialog box. Once the contextual ribbon is up, all of your options are there, just like the create hatch options. One last thing, we now have the ability to use grips to edit some of the basic settings of your hatch pattern. Select a hatch. A Blue, Filled, Circle glyph will appear in the center of the hatch object. Hover over it to see your options. They are: Stretch, Origin Point, Hatch Angle, and Hatch Scale. Click the one you want and drag your mouse to edit these settings in real time. Figure 2: Hatches can be edited with Grips. Stretch, Origin Point, Hatch Angle, and Hatch Scale can all be edited without starting a command. Who doesn't love a good Polyline? Who hates editing them? With the new tools for Polylines in AutoCAD 2011, editing them is a much easier task. Similar to the new grip edit abilities in hatch objects, polylines have new grip edit features. Select a polyline, hove over the midpoint grip and a box will pop up giving you three options: Stretch Vertex, Add Vertex (my favorite), and Convert to Arc. 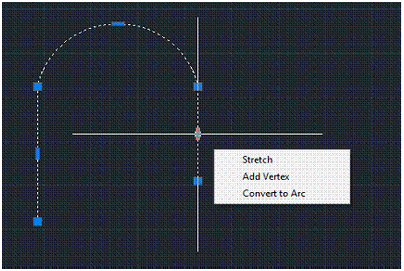 Hover over an End Point Grip and your options are: Stretch Vertex, Add Vertex, and Remove Vertex. These options are some of the most common edits that you would want to do with the PEDIT (Polyline Edit) command, except maybe the join option. If you select one of the grips, press the CTRL key to toggle through the three options. You will see the changes take place in real time. You can also select segments and edit them. Hover over the segment of the polyline you want to edit, press and hold the CTRL key, then left-click to select it. Figure 3: Now you can add a vertex to a polyline on the fly by using the grip edit tools. Splines have been updated, allowing you more control over them. You can define a Spline by using either Control Vertices or Fit Points. Control Vertices (CV) Splines are appropriate if you are working with NURBS (which you can in AutoCAD 2011) and 3D surfaces. The traditional method of Fit Splines makes sure that the spline object passes through the Fit points, which are the points you pick when you draw your spine. The CV Splines have a degree of tangency to the Control Vertices, but do not pass through them. Grip editing a spline, like hatches and polylines, gives you easy access to several editing features. One tool is a Pull Down Arrow that allows you to switch form Fit Points to Control Vertices. It won't change the spline, just how you control it. The Grip Edit options are: Stretch Fit Point (or CV), Add Fit Point, remove Fit Point. Control Vertices have a fourth option, Refine Vertices. This option adds more control vertices to your spline but doesn't change your spline. Wow! We only covered three topics. 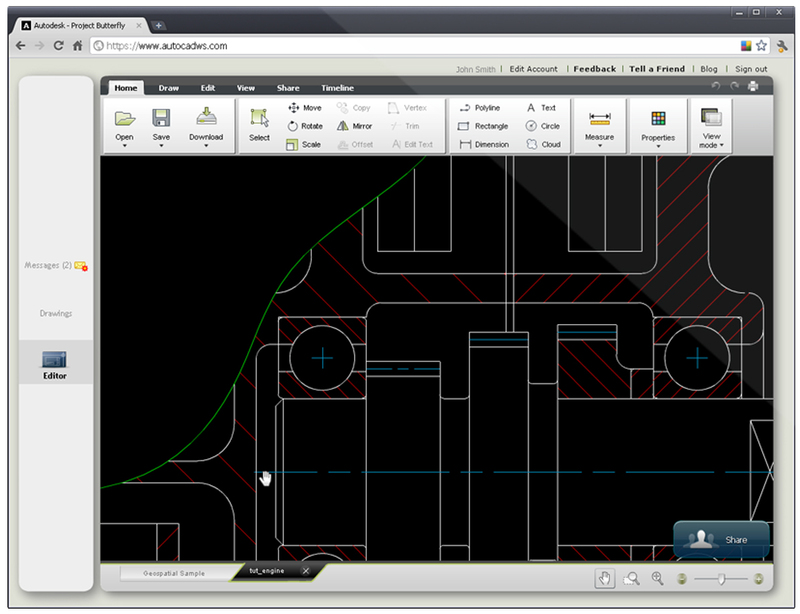 AutoCAD 2011 adds real-time editing tools to hatches, polylines, and splines. Each of these tools now have real-time grip editing abilities that allow you to change these object types without starting a command. The new Hatch contextual ribbon tab allows you to create new hatches in real time and saves screen room while doing it. Adding new features to traditional tools like these is one reason AutoCAD 2011 is a more efficient version of AutoCAD than its predecessors. I confess; I am an Autodesk and an HP WebOS fanboy. I love AutoCAD and my Palm Pre. Hewlett Packard (HP) bought Palm last year when it looked as if all was lost. I’ve purchased and used many Palm products, many HP products and many Autodesk products in my time. I like them. They work. They are industry standards. Now that Palm is part of the HP family, I expect even better things from them. Hp has a problem with Palm’s mobile operating system, WebOS. It’s not popular. We all struggle with popularity at some point (or many points) in our lives, but when you are trying to sell a product or service popularity amongst your client base is a must. The more popular you are the more purchases will be made. Autodesk has been around for over 25 years. AutoCAD is very popular. It is also very expensive. Autodesk has a popularity problem too. People only know AutoCAD. Autodesk has scores of products, but many people only know of AutoCAD and they don’t know that AutoCAD belongs to a company called Autodesk. HP and Autodesk have similar popularity problems. Both companies want to sell more products. Both companies have partnered up before. HP had a big presence at Autodesk University this year, as well as in several years past. They need to partner up again, but on the mobile front. 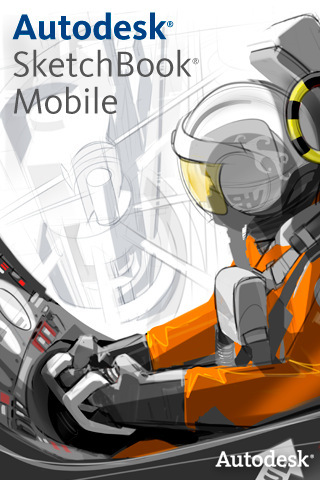 Autodesk has ventured into the mobile “CAD” market with great success. They started out with a mobile version of Sketchbook on iOS for the iPhone, and then migrated it over to the iPad. They now have a version for Android. Fantastic! There is even a Sketchbook “O” version in which Autodesk partnered up with Oprah Winfrey in order to reach a new market. That’s not all that Autodesk has done, “mobily“ speaking. They have also released a free mobile app that allows you to view Autodesk Inventor models. Their best mobile venture to date has to be AutoCAD WS. Yes, they have a version of AutoCAD for mobile devices that also works in a browser. It is not AutoCAD, but it can read and write AutoCAD files. Its main purpose is collaboration. Multiple users can view the same file at the same time, save their work and go on about their lives. AutoCAD WS is fantastic. Best part of it is that it is free! 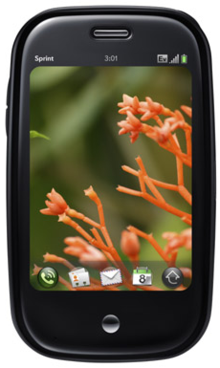 HP purchased Palm in order to get their hands on WebOS. I don’t blame them. It is a great mobile platform. It is so good that RIM has emulated many of WebOS’ features in their new tablet, the Playbook. In fact, according to early reports, Apple is also emulating WebOS features in iOS 5. HP has many great products; desktops, laptops, tablets, printers, plotters, etc. With the purchase of Palm they can apply WebOS to any of these platforms. Imagine a standard operating system platform across many machines that we all use every day. That allows products to communicate with each other or to at least get along with and share files more seamlessly. It now seems that HP is getting ready to release new WebOS based smart phones, a new tablet and even new netbooks! What they are missing are applications. Why go with the iPhone or Android? There are thousands of applications that they can use. WebOS barely has 5000! That’s a problem. Autodesk has a problem being known by the average user. HP has a problem with a lack of applications. What if these two technology behemoths got together once again? It wouldn’t be unprecedented. They have worked together for many years and both have shown that they are willing to work with others for mutual benefit. I propose that HP and Autodesk get together and create WebOS native applications based on the software Autodesk has already created. Imagine, a brand new HP Netbook that has WebOS and AutoCAD WS running on it out of the box for every consumer to devour! Why not get Autodesk to make the first Revit or Inventor app or 3DS Max app for WebOS. They can make it for the other mobile platforms but make WebOS the first stop from now on. HP gives AutoCAD a little something for it of course and HP gets to be first, and best. The average consumer, the DIY’s, contractors, designers of all types could use a mobile device (phone, tab, or netbook) in which they can use AutoCAD WS and/or Sketchbook. It’s a huge market for both companies. Autodesk, HP, think about it. Give it a shot. It’s a win for you and for the user.